Today friends I will be reviewing a dApp called Partiko, I am so happy to be doing this review and I hope you find it helpful in a way. Most individuals on social media use their smartphones to post and browse the internet, so it’s a no-brainer to acquire an exceptionally swift mobile dApp for the Steem blockchain. There have been some few attempts to create a responsive and fast dApp for the Steem community, but the user experience has been quite poor with several attempts made. I tried some of them, but seeing the quality I gave up my search and concluded that it was impossible to build a mobile dApp with a blockchain. But Partiko proved me wrong. 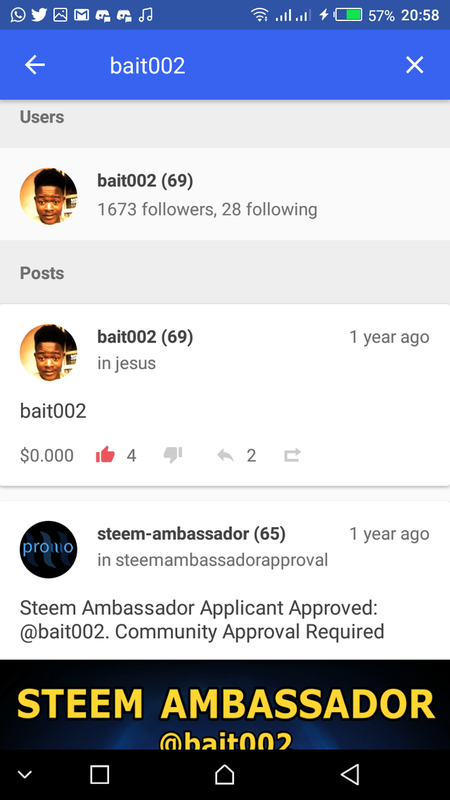 From the very start, I was hoping that a gifted developer would one day generate a mobile app that can be used on the Steem blockchain. 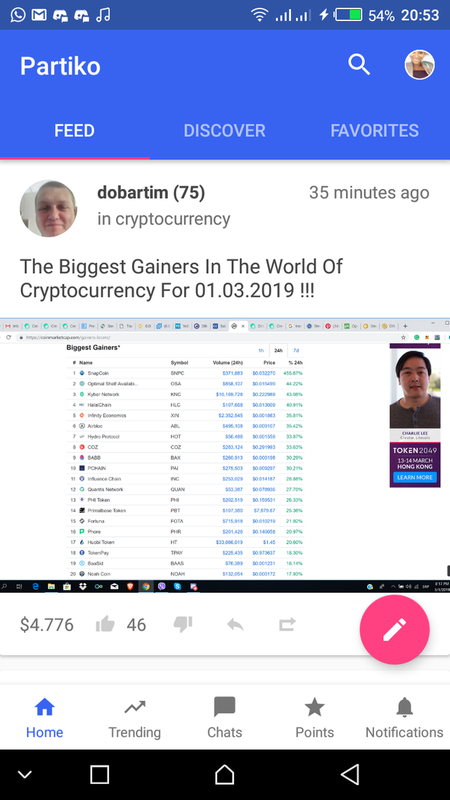 That day appears to be finally here with the Partiko dApp. 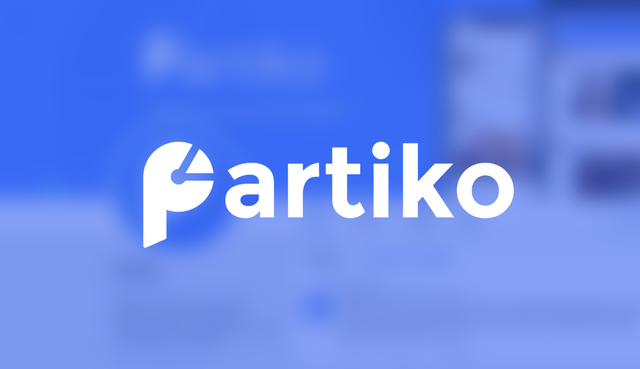 Today I will tell you about the one app that I'm glued to Partiko. The name was derived from "Paid Article" or "Particle" therefore giving us the term "Partiko". 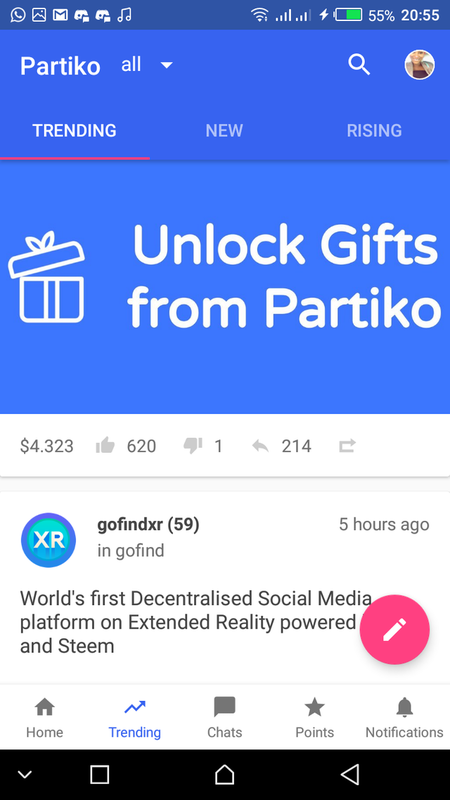 Partiko is known to be a decentralized social network that allows individuals to directly monetize their original content. Partiko is a blockchain-based initiative and it is built on the Steem blockchain which therefore allows its users to earn some Steem token by posting organic content. Let's see some features of Partiko. The dApp utilizes a minimal design model which makes it simple but attractive. This style is logical with modern aesthetics which essentially expresses the concept of "less is more". Currently, various successful brands employ a modern and of course a simple design scheme. Partiko follows this trend. Partiko dApp is amazingly simple, easy and intuitive to use. It is obvious that the programmers had its users in mind when they built this dApp, I can tell because everything that Partiko does is associated with ease of use. It’s easy to post with the dApp and every button functions properly. Partiko’s speed is quite fascinating. There are no difficulties switching between posting, browsing, commenting and liking, and I can tell you that the overall experience is seamless. I don’t experience any lags at any point in time. It possesses an incredible speed as fast as Twitter or Instagram. The search function of Partiko is to me its best feature. Whenever you type in anything in the search bar, it will bring up either blog posts or account names that contain the search query. That not all, another great aspect is when an individual clicks on a user, a tab opens suggesting if you would like to visit their website. This was a really great surprise feature. Also, on the platform, you can make use of a vote slider to give your desired percentage of an upvote. Let me use this opportunity to mention a few details about the creator of Partiko. Recently, I learnt that the reason for the fast functioning of this dApp is that the programmers encrypted the dApps with IOS programming languages and native Android. According to Sida, this is the reason why Partiko is better than other Apps in terms of Speed - Sida is an AirBNB programmer, and Partiko is his side project. Which explains why Partiko doesn’t take any profit for itself. 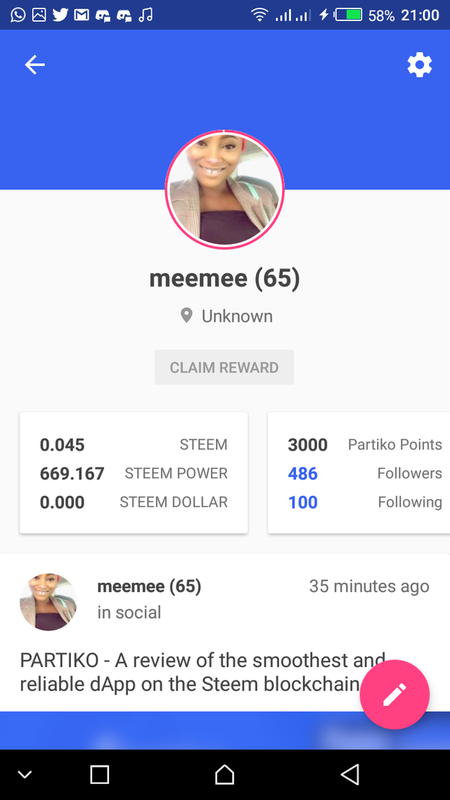 Many dApps on the Steem blockchain takes a certain ratio of the author rewards for its own profit. Partiko wasn’t designed like that and this makes it a really good community project. I've been using Partiko for some weeks now, It's smooth, fast and reliable, the idea of NO FEE also sweetens the deal. This is one of the smoothest apps that I've tested and in the few weeks that I've been using it I haven't seen any bug yet!. The team behind the app is working very hard, they've been some updates with improvements and newly added features. My guess is, that in some months, we're going to see even more features that will indeed give us the best blogging experience ever. : Although the App isn't all perfect, it can be better though. There's a need for an update, for instance, I can't go direct to comment from the notification page. Another aspect that still needs improvement is the exploration of the content side and I also noticed that media upload is limited. The platform still lacks features like video making it hard for anyone wanting to post travel videos, recipes, tutorials, or any kind of instructions. The fact that every time you post through the platform you get the extra "Partiko" tag and each comment gets an extra line of "Posted using Partiko" makes it also a little less appealing. But these issues don’t stop you from enjoying the platform. You also get 3000 points for signing-up and it continues as you keep posting, upvoting, commenting even when you delegate. There is a private chat function for you and your steemit followers to get along and also some great display functions, especially the eases that comes with seeing who voted for you and with what weight.